Merck's flow cytometers and cellular analysis instruments and counters give you instant access to all facets of cellular phenotypes. 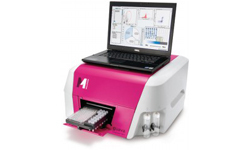 Choose from miniaturized systems for quick cell counts and basic analyses, to versatile benchtop platforms for multi-dimensional cell health assessments, to very high sensitive and advanced flowcytometer. With our innovative range, you can pick the platform that fits your needs and takes your research to the next level. 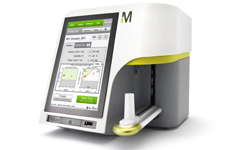 Packs 3-parameter analysis into a compact, easy-to-use benchtop device, making flow cytometry accessible to anyone, any time. 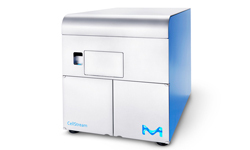 It features patented microcapillary fluidics and up to 3 lasers, generate accurate absolute cell counts, consume less sample, produce less waste, and are easier to use and maintain. It features patented Amnis® optics technology and up to 7 lasers, delivers unparalleled sensitivity plus flexibility to customize and expand the system according to research needs and budget.